After not doing much at all by way of allotmenteering for some time, my fingers are well and truly itchy. The Adorable Archie is on the mend, slowly and steadily, and that frees up space to get stuck back into the mud and my seed tins. 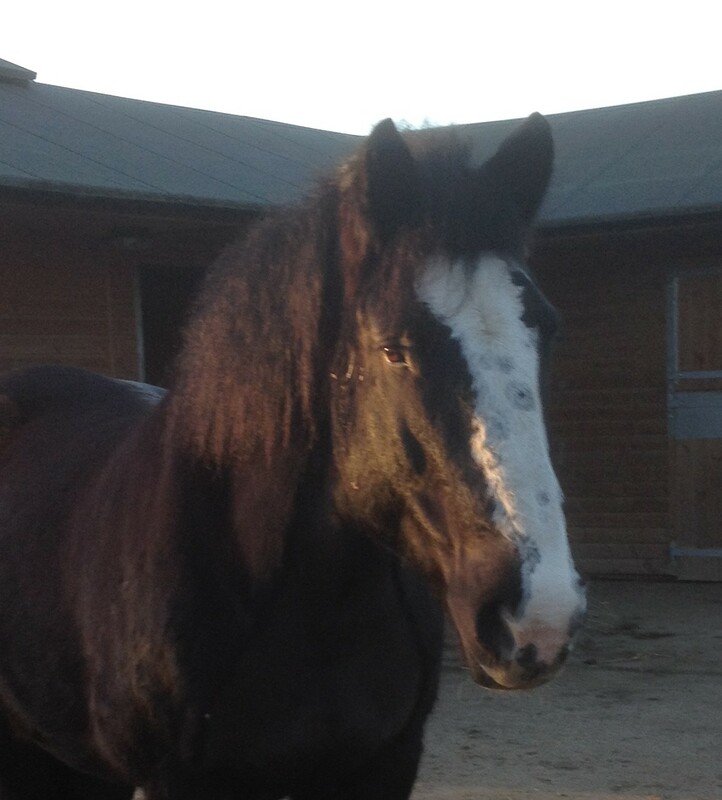 This year’s resolution is a little bit more balance between horse, home and plot(s). Starting with a good rummage through my seed tins/online catalogues and goodies from seed circles to decide what I am growing this year. Late in 2016 I discovered that my pretty burgundy & white Inca Pea Beans from the Heritage Seed Library had either crossed with something before they landed with me, or reverted to a plain black seed somewhere in their parentage. (I wrote about it here: Curioser and curioser.) The flowers on the black seed were lilac rather than white, and the pods were mottled, not plain. 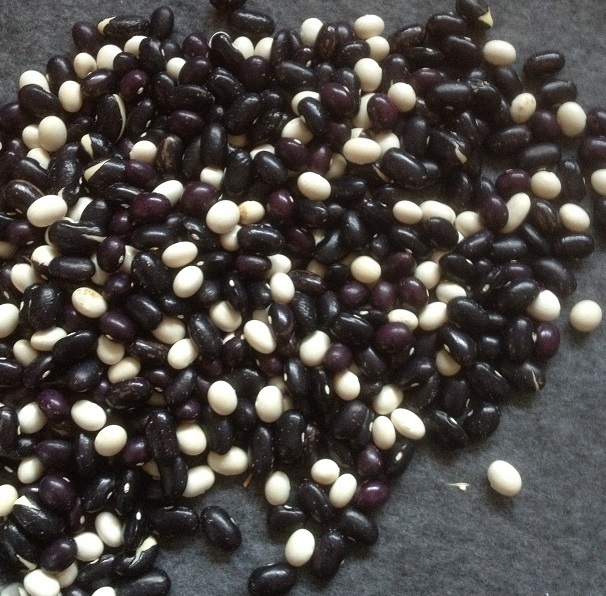 I really like black-seeded beans and decided to see if I could breed them true, starting with what I am assuming to be F2 seed in 2017. Fortunately I planted them in Times Before Horse, or I’d have had nothing to pick last winter! The results have been immensely varied – reversions to something in the bean’s parentage or something from the possible cross in its recent past. None of the F3 seed is red, so I am not sure where the red colour from the Inca Pea Bean has gone. 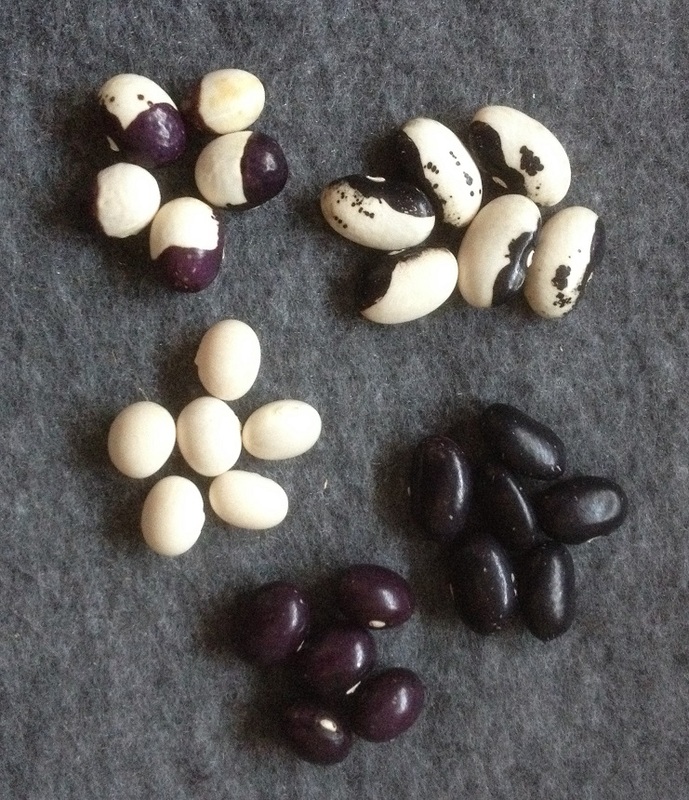 I have the black beans I wanted, but also purple beans, purpley/white beans like the Inca Pea Bean, a series of very small white beans and the black/white mix you’d expect to see from normal Yin Yang/Pea Beans. All from the same seed. 2018’s sowing of the black beans will get me to F4 – but I reckon if I am nifty and use the greenhouse I can get two crops out of them and get to F5. Which leaves 2 more generations till they should be stable and I can name them. Cue happy dance! 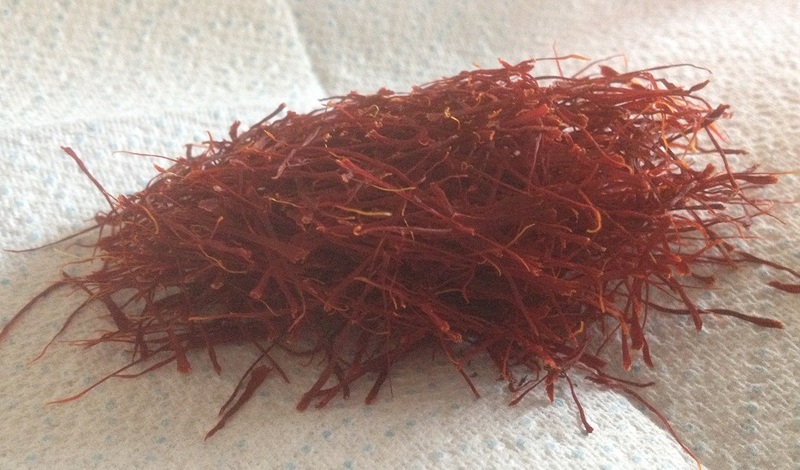 My saffron was thoroughly dried some time ago. I have been on tenterhooks to see how much 2017’s harvest weighs, but not enough to rummage through Him Indoors’ audio gear to find the scales for record needles. I dry mine in folded kitchen roll. It’s easy and no faff. But it has a hazard. There were a few choice words in Mudandgluts Towers when it came to light Him Indoors mistook one of the folded kitchen towels for a snotty tissue and binned both it and the saffron in it. The corms flowered unbelievably early in 2017 and for longer than usual, starting on 21 September and finishing about a month later. In comparison, the pop-up saffron farm down the road in Croydon only had flowers starting as mine finished. I don’t know why this is, but I am glad I didn’t have to pick it in the rain and frost. Anyway… the results are in. The 2017 harvest is…[drumroll]…3.2g!! Officially the most I have ever picked, proof positive that my digging up corms each year was a daft idea and inspiration for another happy dance! At the moment the flat is still festooned with jars of rice. 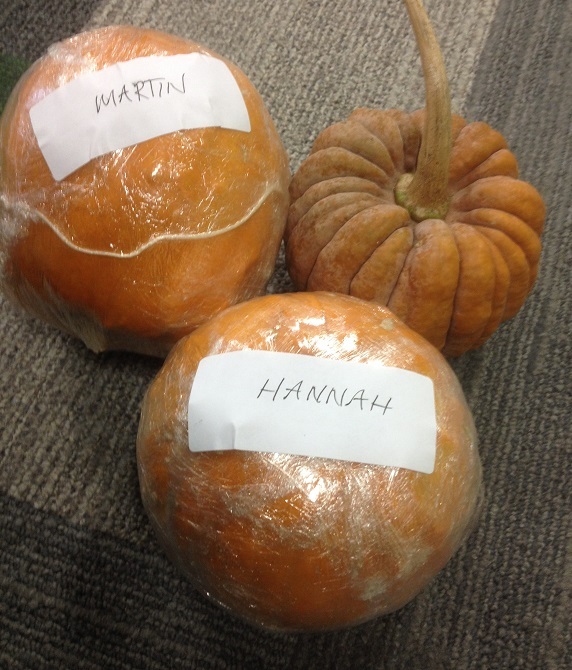 My umpteen Sucrette squashes are in the last stages of being emptied (thank you to all those who have taken them!) and the seeds dried for return to the Heritage Seed Library*. I have some set by for #SeedCircle17, whose packages are squeezing through the letterbox with a very pleasing rattley sound. At the allotments (I have been this year!) we had a wonderful wassailing of the communal orchard, with toast, cider, poems and songs. And a bonfire. I love a good bonfire, and this was a great one till we got to the soggy brambles at the bottom, when it turned into a fantastic smoke machine. Before the kippering I did my own private wassail on the plots. Thanks to the cider, and various other concoctions that were floating about the crowd, I was quite enthusiastic. I skipped the Charlotte Russe mulberries (or whatever the current name for them is) as quite frankly I still think that they aren’t worth it. Tomorrow will see another foray up to the plots. I know there is significant greenhouse-related damage from this week’s storm, but I am hoping it isn’t catastrophic. Wish me luck! *On that subject, there is some concern that HSL’s future is not that secure. Horticultural Week reported that Garden Organic is planning to close and/or sell off its gardens at Ryton, where many of the Heritage Seed Library lines are grown in isolated conditions. Suttons have bought out Chase Organics (who supplied seeds for the Organic Gardening Catalogue), and these will now be sold through Dobies. I really hope it won’t be lost, and that Garden Organic send out proper information soon. What gorgeously pretty seeds. Very impressed with the saffron! Thanks!The saffron in particular is well worth growing. HSL and Ryton are really victims of their own success. There is now much seed saving happening where there was almost none 30 years ago. On the other hand HSL has (apart from a few plant sales) never gone the commercial route, citing that they are prevented to do so by law. I notice that the Irish ISSA is selling seeds as well as being a membership seed distributor like HSL A root and branch reform might be possible for HSL, but not without a good plot of land. I’ve since seen the ad for the sale of Ryton, as a development opportunity. I am really really angry the membership gets to find out via third parties that its key asset is up for sale. HSL is still the key repository for many of the varieties in the European seed banks, and to see it disappear would be awful. I have no truck with Garden Organic’s wish to be more of a pressure group. That arena is already way overcrowded. So happy to read a post from you. Shame about the cross pollinated seeds tho! But amazing results with the saffron. I don’t lift mine either so happy to read you find it not necessary. Rogue gardners like company…. fingers crossed winds haven’t damaged too much. Thanks!! It’s nice to be writing again. 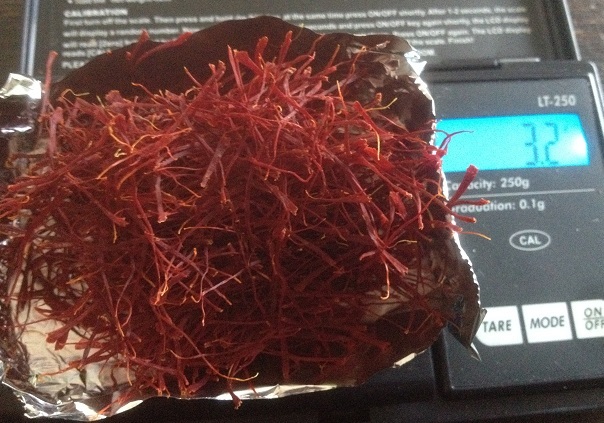 I can’t believe how I have diddled myself out of saffron harvests by lifting the corms over the last couple of years. Still, at least I’ve learned something new! Given that the best part of Ryton;are the actual physical teaching gardens, the ‘seeing is believing’, the experience of ‘I can do that!’, losing the gardens loses all that. I must admit however, that on our last visit several years ago I was already very disappointed. Almost no plant labels and nobody around to ask. By contrast I remember a visit with the children when a gardener (Steve) got them to look at all the wasps and bees and their different markings. Just like that, not part of a programmed tour. It just happened and a memorable and priceless experience for the kids. The same gardener shared the cress seed that I added to the seed circle a while ago on another occasion. It was indeed ‘Muck and Magic’ twenty-odd years ago, but that has largely gone. Whilst a crowd-funder could possibly rescue the gardens, or patron HRH could dig deep, it won’t be the same without a dedicated organic management team, like the Gears were. I saw a tweet mentioning how many ashes had been scattered on the grounds too! Like on sacred ground! I wish Ryton Gardens would go to the National Trust, rather than being sold for housing or development. I share your anger Beryl, but for me that is tinged with a dose of recognition that ‘it’ had mostly gone already, although still in existence, we just haven’t said goodbye yet. .